The Simonton Prism Gold window is the mid range Prism model that is basically the equivalent of the Simonton Reflections 5300 window. The model uses a slightly more narrow fusion-welded frame design, somewhat similar to their Simonton Madeira series window. The Prism Gold includes a number of standard features that includes interlocking meeting rails, an easy glide sash, a stepped sill, lift out sash for simple cleaning, and fiberglass screen mesh. In addition, the window comes standard with a 3/4" insulating glass unit that includes ProSolar glass, argon fills, and Intercept spacer. The window also comes with a roll formed screen frame, multiple weatherstripping points and color matched hardware. The Simonton Prism Gold is a good mid range vinyl window that lacks flash, but is a solid buy, assuming quality installation and a good price point on the window itself. Simonton makes a nice window and the Prism Gold or the Reflections 5300 is one of our picks for mid range vinyl windows. Simonton Prism Gold model should run somewhere around $45 to $55 per square foot for the window itself. The Prism Gold is comparable to Harvey Tribute window Cost and Wallside windows prices. 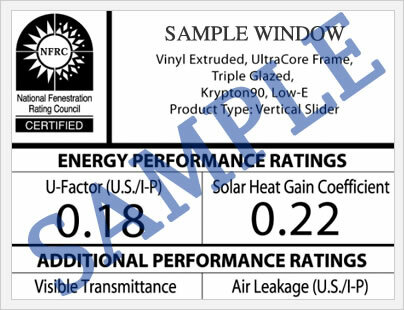 The Simonton Prism Gold series with the ProSolar low-e glass, argon fills and the Intercept spacer will have a 0.33 U-factor, 3.03 R-value, 0.4 VT, 0.24 SHGC and 0.95 UV block from the center of block. These are not super impressive numbers, although the window is well put together, so these numbers should hold, whereas other lesser replacement window models will often lose their effectiveness more quickly. The Simonton Prism Gold includes a double lifetime warranty on the vinyl materials, which includes the sash & frame. 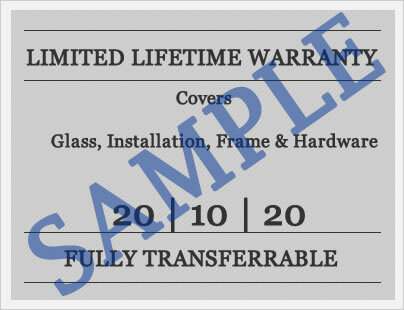 This limited warranty covers the fiberglass screen, all components and any hardware. The Prism Gold has a glass breakage provision for the first 25 years and is transferrable to 1 other homeowners, albeit with certain restrictions. We always suggest that homeowners read the warranty in full before buying their windows in order to understand all exclusions and limitations that apply. Do you have Simonton Prism Gold windows reviews that you would like to include on our site? Homeowner reviews can help other consumers to decide which window replacements are the right selection for their next remodel project. Email our site editors Jim and John to get your most pressing questions answers on the Prism Gold series or any other window that you are considering.